I’m a massive fan of Brazilian music. 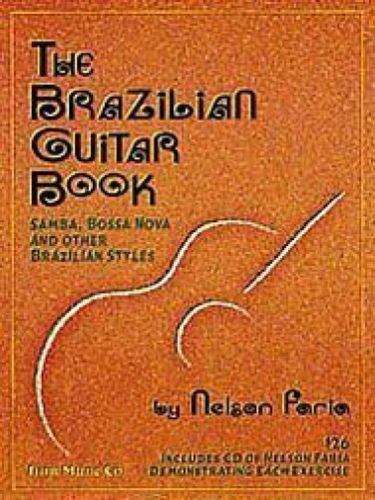 Anyhow, if you’re looking for an introduction to that world, and to the incredible guitar playing found within it, then you need look no further than “The Brazilian Guitar Book” by Nelson Faria. It’s fantastic! It’s just the perfect gateway to that world. Like having a little tour guide covering Samba, Bossa Nova, Choro, Frevo & Baião with tons of examples sourced directly from the recordings – all played brilliantly by Mr. Faria – along with pointers to all the major figures of the music. The other day I compiled a Spotify playlist of all the referenced music. Ok, hope you use this to discover the world of Brazilian music.